What she’s necessarily saying is that ideas are a form of Life that exists independent of humans. They are not the creation of human mind. Rather they just need Humans as a medium to manifest themselves. She further says that ideas are always looking for human collaborators who can manifest them in befitting manner and that some ideas do not wait for long with one collaborator and they can go to the next best collaborator. Sometimes they are gone forever and sometimes they revisit you to see if you are ready to work on them and take to a logical conclusions. She tells an incredible story to support her thesis. She became friends with another writer Ann Patchett. In one of the meetings they were exchanging notes on what projects they have been working on. Bizarrely, it transpired that Ann was working on a Novel that had exactly the same theme and setting as a Novel on which Elizabeth had worked a few years ago but could not complete. She says that it became apparent to her that the idea had left her and despite her best intentions somehow she was unable to carry it on any further. Even though at the time they never discussed, but the Idea of writing the same story came to Ann at immediately after they met for the first time in a conference. Ann was a speaker in the conference. They both agree on the timing. Elizabeth believes that it was the Idea that brought them together. 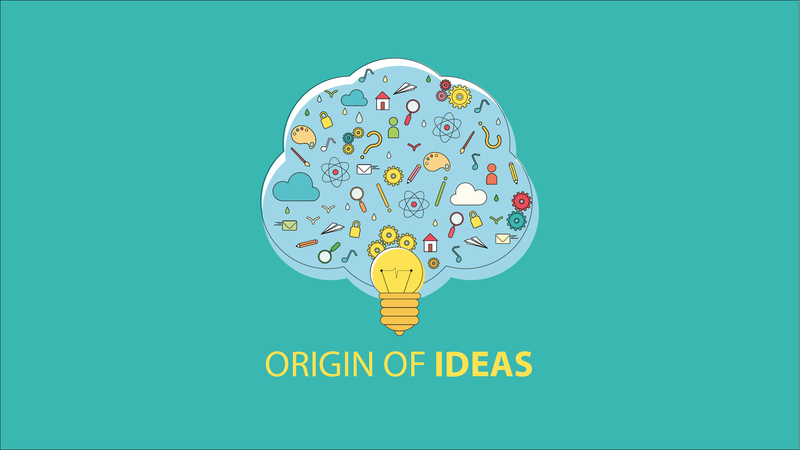 The very notion that Ideas are independent life form and that they are not the Creation of our Brain is fascinating. It becomes further intriguing to read that they come to our mind looking out for a human collaborator to manifest, to bring them to the world. It was intriguing because I had already read something similar about THOUGHTS as expressed by Napoleon Hill in one of the books titled Success – The Best of Napoleon Hill. While discussing what thoughts are made of, he expresses the possibility of the existence of many forms of energy that human senses are unable to detect or discover. He gives the example that until we developed the device to detect ultraviolet rays, we did not know of their existence. Napoleon Hill further argues in one of the chapters that Thoughts are also a form of Energy and since Law of Conservation of Energy stipulates that Energy can never be created, nor destroyed, the thoughts once born are always floating around in the universe. He further says that while some of the thoughts can be our original thoughts, many of the thoughts might be attracted to us from that massive library of thoughts out there. He says that we can, and do, attract others people’s thoughts if frequency of the two thoughts matches just in the same way as Constructive Interference works. He gives the example of a very common phenomenon (that we all experience from time to time) that just as you are thinking about someone, he/she either calls you or visit you. At times, working together we are amazed to know that we were thinking about the same thing or had exactly the same idea in our mind. Now whether Ideas are natives of our brain or legal aliens, I leave it up to the readers to form an opinion. For, I am neither a quantum physicist nor a psychologist nor even a philosopher who have researched or thought deeply about it to give an answer with authority. Neither am I a religious figure to trace the origin of ideas according to some scripture. However, one thing we all know that ideas come to our mind in form of thoughts. So if thoughts are a form of energy and if Law of conservation of Energy holds true, we can safely conclude that dead may be the people, who conceived those ideas, but not the ideas! They are still live and kicking, floating around everywhere. Therefore attracting others’ thoughts and ideas seem to make a lot of sense. Those others can be the early Homo Sapiens dead hundreds and thousands of years ago or contemporary man living next door or thousands of miles away from us – Who knows! Elizabeth Gilbert and Napoleon Hill both have given us Food for thought though.